← Building dispute mediation, the art of balance. Building contract, don’t sign anything! Yes its very exciting to get going on your new home but STOP RIGHT THERE! Are you going to sign building contract for the biggest investment of your life thinking less than buying shoes? If you don’t understand what you are signing you are doing it in blind trust and naive hope. Will it work out OK? Perhaps, but I see many that don’t, many with dreadful problems and is emotional and financial catastrophe for the owners. Signing off without professional contract review is stupid and won’t save you money but could cost you plenty. If you sign off on a bad deal willingly, the law will not protect you! Why take the risk? What will you do? 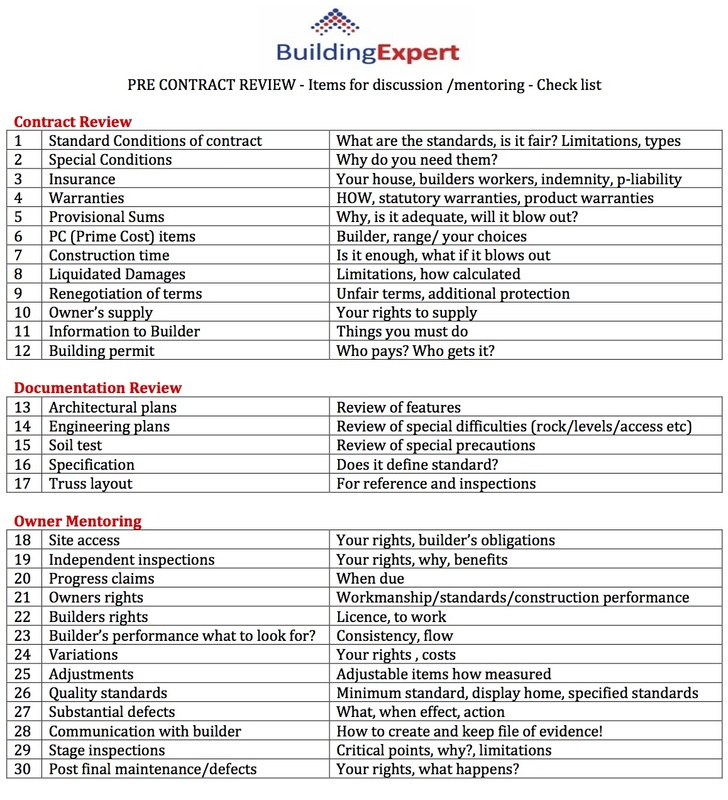 Here at Building Expert we offer PRE CONTRACT REVIEW. We will sit down with you and mentor you over 30 topics that will prepare you so you can hit the ground running with confidence and understanding. At around $ 600 for pre contract consultation it’s affordable, could save you a lot of money and grief, will give you comfort and is definitely cheaper than hair replacement. This entry was posted in Building Advice, New Home Inspections. Bookmark the permalink.